It’s Plan A with a rhetorical face lift, practically the same, no-Brexit/Brexit. May pretends to want what she opposes, clearly stating opposition to leaving the EU as home secretary. She wasted over two-and-half years accomplishing nothing, cutting a deal with Brussels to be rejected by parliament. Only the margin of defeat surprised, the greatest one for a UK leader’s legislative aim in modern times. She held firm on key points parliamentarians overwhelmingly reject. 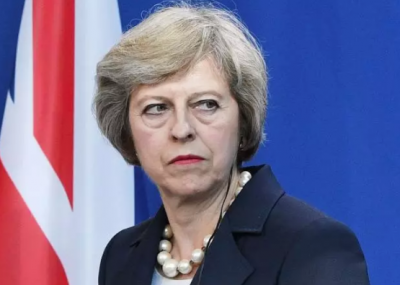 Claiming a no-deal Brexit should be avoided, she failed to explain MPs strongly reject the option. Based on how things are going, Britain appears likely to stay in the EU, the popular will be damned. Referenda are meaningless when ruling authorities do what they please no matter how they turn out. If May and majority parliamentarians favored Brexit, it would have been achieved long ago. Delay was a tactic to remain, not leave. If held, a second referendum won’t matter any more than the first one. Western elections turn out the same way. Regardless of public sentiment, ruling authorities do what they please. Voters in America, Britain, and other European countries never supported endless wars against one country after another, nor neoliberal harshness, brutal crackdowns on nonbelievers, or government serving privileged interests exclusively – but that’s what they’ve gotten no matter which parties control things. The only certainties ahead on Brexit are uncertainties and virtual certainty of no hard Brexit. What’s most likely is no deal, Britain remaining an EU member – what May, her loyalists and Brussels wanted all along. Her so-called cross-party talks for consensus were practically none at all, Labor Leader Jeremy Corbyn calling her alleged outreach a “sham,” adding May hasn’t come to terms with her historic week ago defeat, irreparably damaging her most likely. Tory MP Anna Soubry accused her of turning Britain “into a laughing stock” – her no-deal/deal resoundingly defeated last week, her repeat performance on Monday faring no better. Perhaps one more strike and she’s out. She ought to be after to-ing and fro-ing since June 2016, accomplishing nothing. Something has to give by March 29, a decision-day deadline. Likely no agreement on a deal would mean either Brussels delays things further, or things revert to square one, Britain remaining an EU member, and that’s the end of it. That’s my take on things. The option of Britain crashing out of the EU with no deal is highly unlikely – given MPs overwhelmingly against this option. Anti-Brexit Bank of England Governor Mark Carney’s scare-mongering was way over-the-top, warning of a protracted financial crisis under a no-deal Brexit, claiming an economic decline of up to 8% year-over-year, a 25% decline in sterling, inflation spiking to 6.5%, house prices falling by 30%, interest rates rising sharply, and GPD to be around 10.5% lower by end of 2023. His scare talk is all about wanting Britain to remain an EU member, an artificial CIA-created post-WW II construct for greater US control over European countries. Their ruling authorities never should have agreed to the flawed arrangement, a failed system, a sinking ship, a union likely to dissolve eventually. Further talks with MPs and Brussels won’t likely change where things now stand.